Few lawyers in the world have Miriam Wugmeister's breadth and understanding of privacy and data security laws, obligations, and practices. In the words of her clients, she is “extremely practical and phenomenally smart. Just about one of the best privacy advisers there is” (Chambers USA 2011). Chair of Morrison & Foerster’s market-leading Global Privacy and Data Security Group and ranked among the top in the profession by all major directories, Ms. Wugmeister is regularly called upon by some of the world’s largest and most complex multinational organizations to confront their most difficult U.S. and international privacy challenges. She develops cutting-edge solutions for clients that marry legal compliance with business realities. Ms. Wugmeister advises organizations on the planning and execution of complex global compliance efforts, assists in the negotiation of strategic deals, and defends regulatory and litigation matters relating to privacy and data security in the U.S. and internationally. 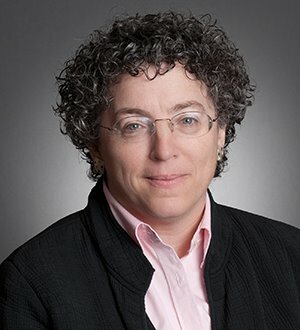 She regularly provides advice on data security breach issues; the global collection, use, sharing of employee, customer, vendor, and consumer personal information; ediscovery and monitoring conflicts; social media issues; and cloud computing deals, as well as on developing data security policies and procedures and cybersecurity preparedness and response plans. As leader of the Global Privacy Alliance (GPA), Ms. Wugmeister encourages the rational development of privacy laws around the world and monitors privacy practices, laws, and regulations globally. On behalf of the GPA's members, she takes an active role in anticipating upcoming privacy legislation and educating regulators on the commercial implications of proposed regulations. Ms. Wugmeister developed the firm's Privacy Library and the MoFoNotes subscription database so that organizations can keep apprised of privacy and data security compliance requirements in jurisdictions around the world. She is also co-editor ofGlobal Employee Privacy and Data Security Law, Second Edition (BNA Books, 2011). Chambers USA 2013 and Chambers Global 2013 recommend Ms. Wugmeister in the top tier of U.S. privacy and data security lawyers, and Legal 500 US 2014 recognizes her as a leading lawyer for her “professionalism and strong international presence.” Ethisphere listed her as one of its 2012 “Attorneys Who Matter,” and BTI named her a 2012 Client Service All-Star. Ms. Wugmeister was also noted by Best Lawyers in America 2014.